This trip was smoothly planned. 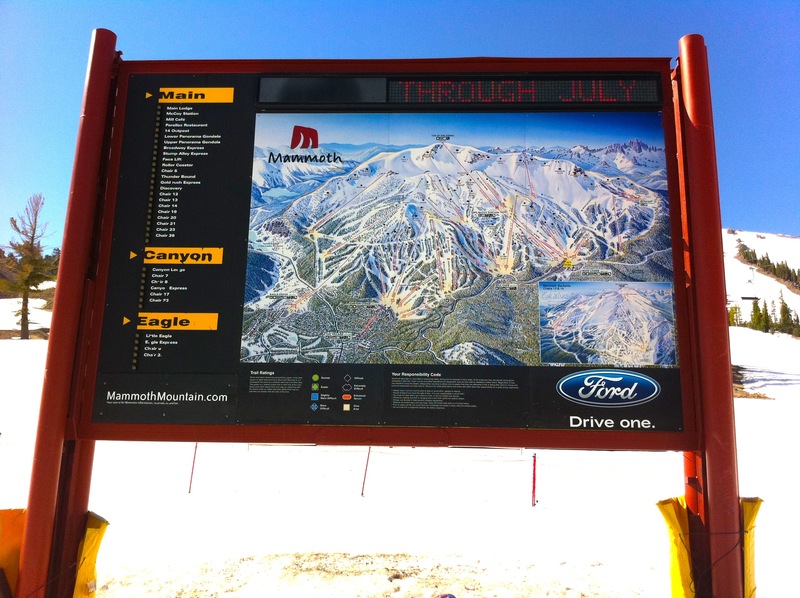 After a quick summertime peek at America’s favorite playground, Lake Tahoe, we would try skiing in one of North America’s top skiing destinations, Mammoth Mountain. 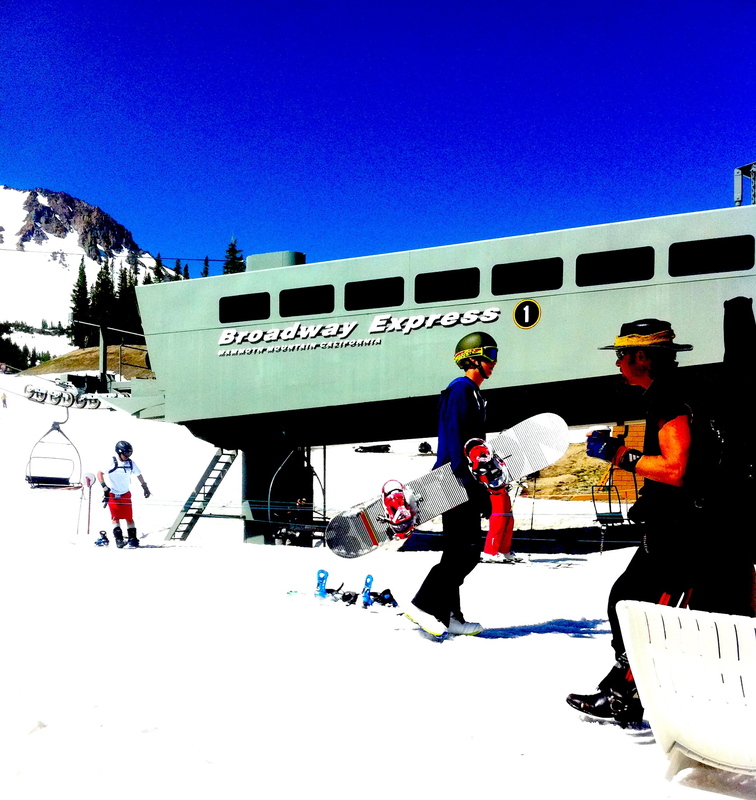 It is a favorite training place for Olympic champions such as Shaun White, the 2010 Winter Olympics gold medalist. I am not a professional skier. 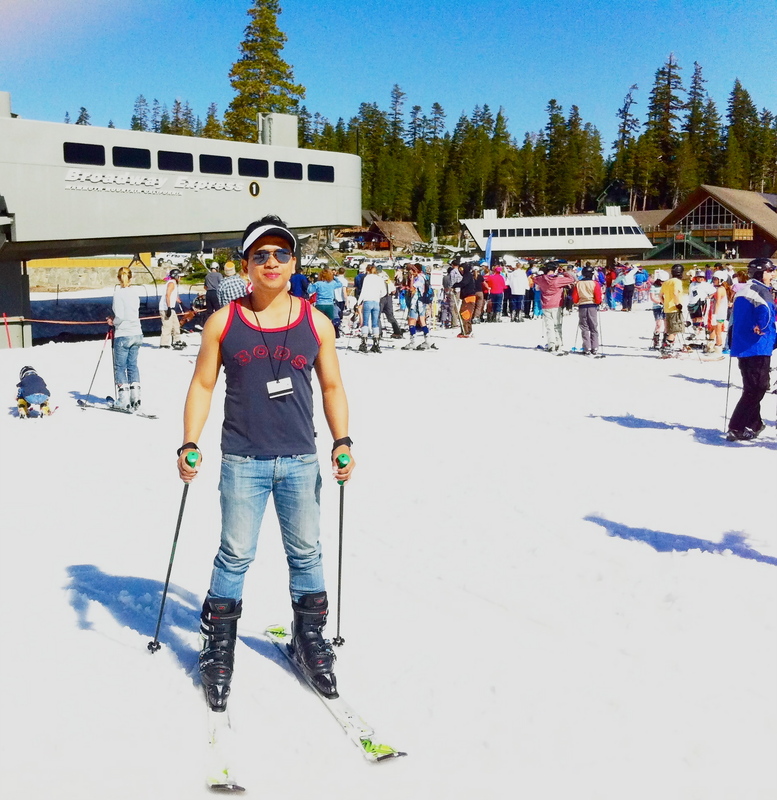 This would be just my 2nd time to ski after my first in Minakami, Japan. 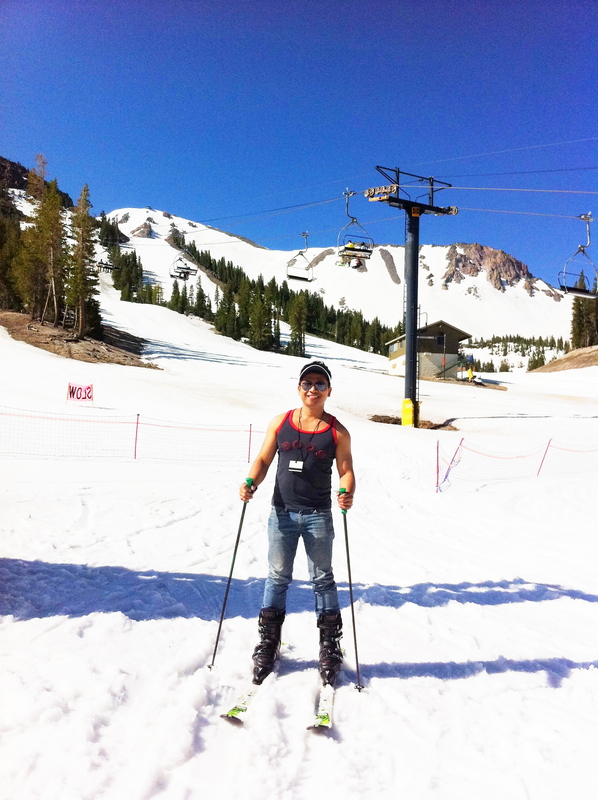 I just wanted to do the unusual: skiing, not during winter, but during summer, on the 4th of July! 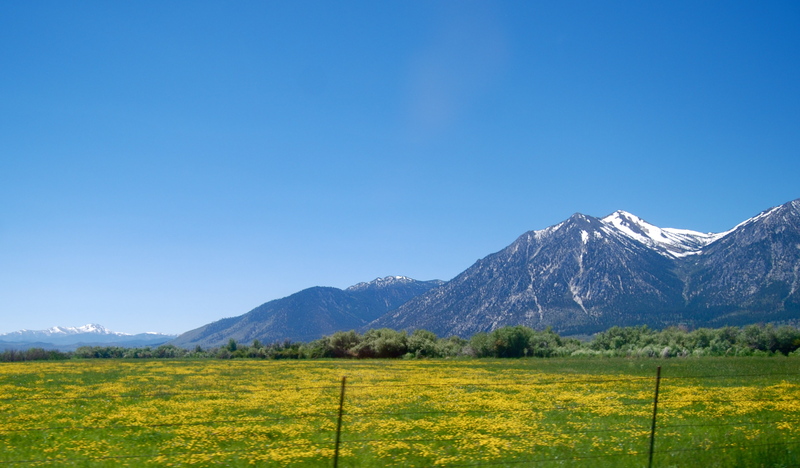 The almost 3-hour drive from South Lake Tahoe to Mammoth was indeed scenic. 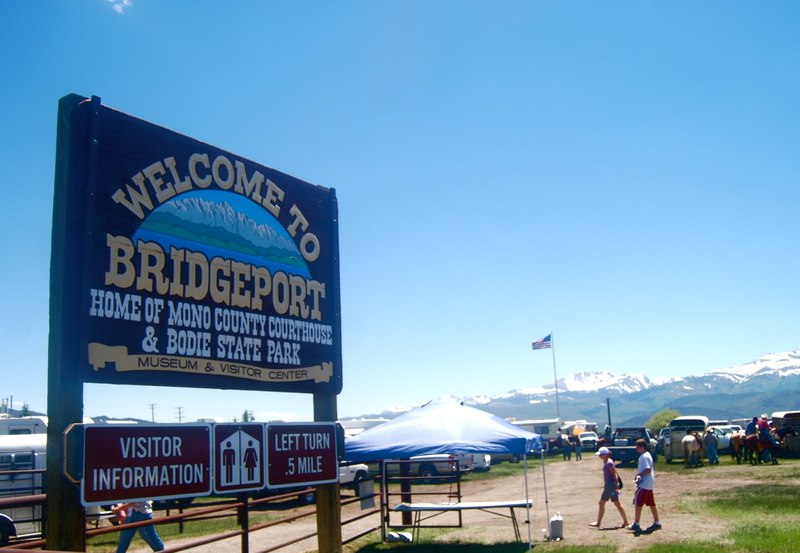 Yes, we had a brief stop at Bridgeport, CA….. In fact it was the eve of America’s birthday and a weekend. Everyone wanted to relax and celebrate. 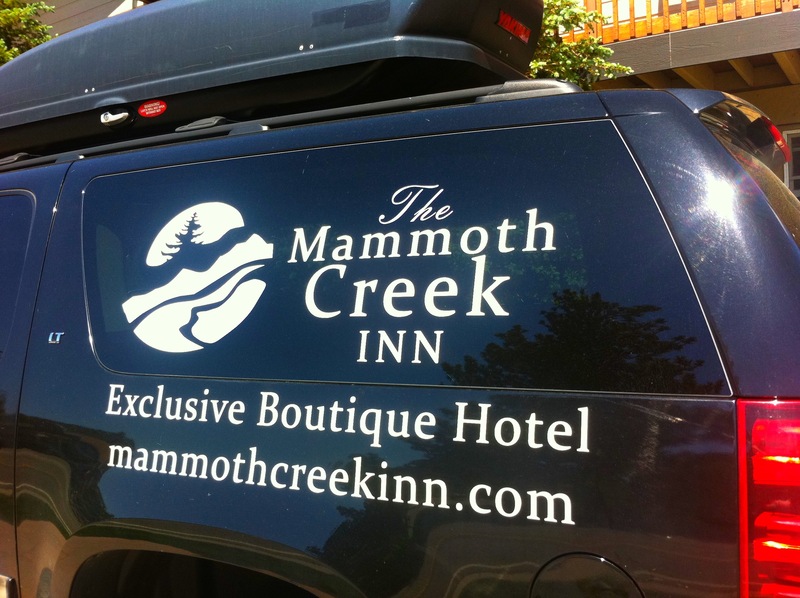 After the almost 3 hours drive from South Lake Tahoe, my friend Ron and I finally arrived at our hotel, Mammoth Creek Inn. 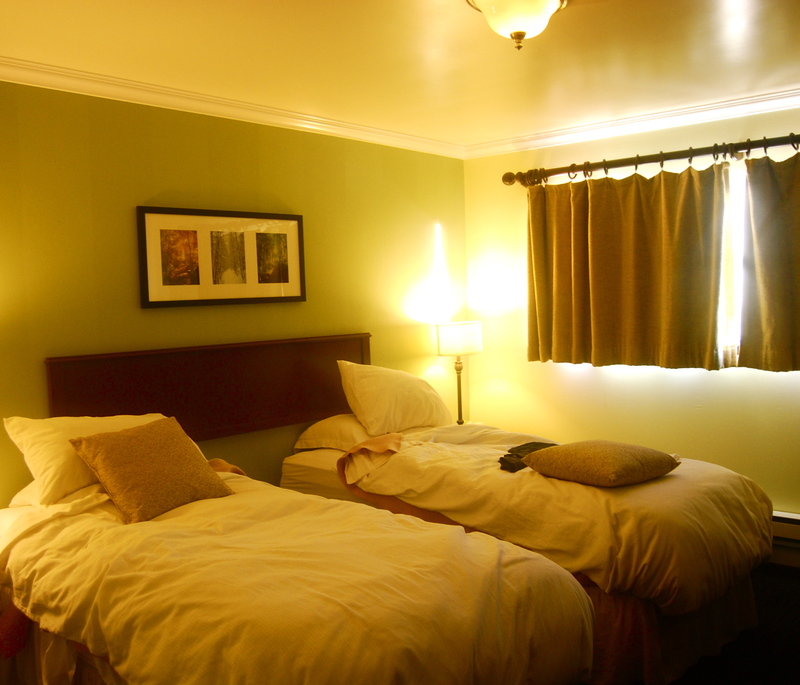 Yes, a charming boutique hotel. 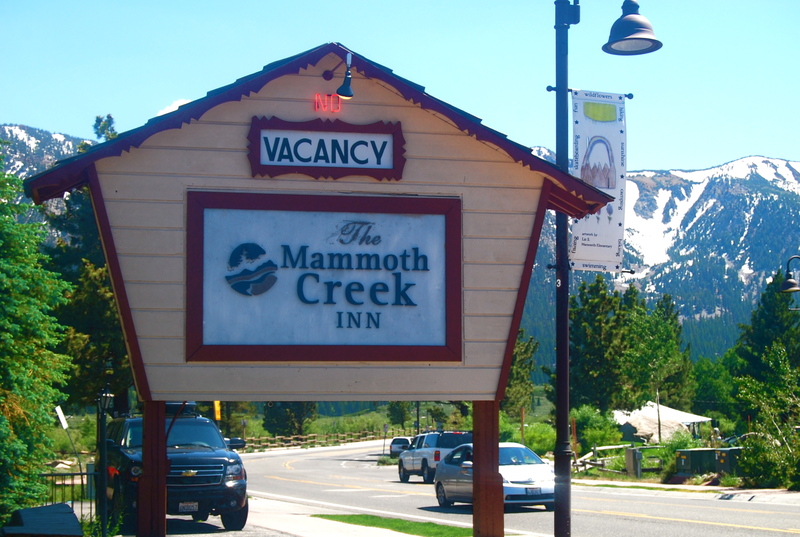 5 miles to the main ski area, Mammoth Creek Inn is conveniently located along the main road. 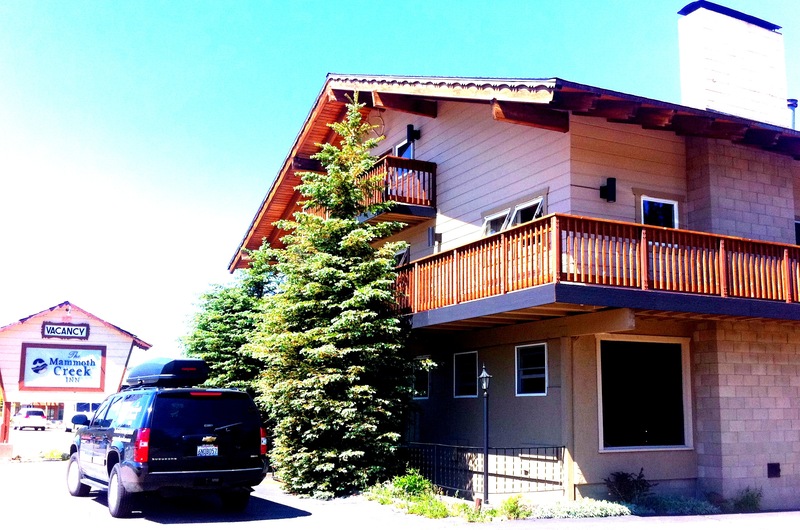 A moderately sized room with twin single beds was enough to serve as our headquarters in Mammoth. Free wi-fi access was an added bonus. 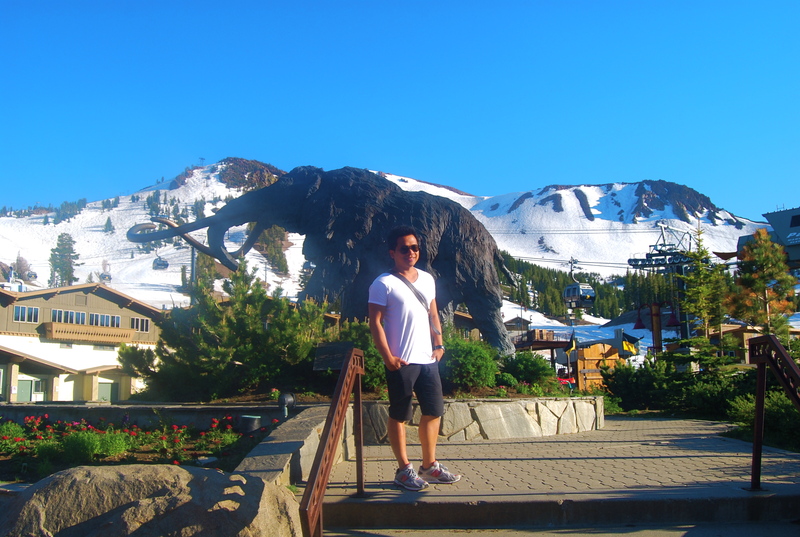 We immediately paid a visit to the Mammoth main area for us to be accustomed for the next day’s activities. 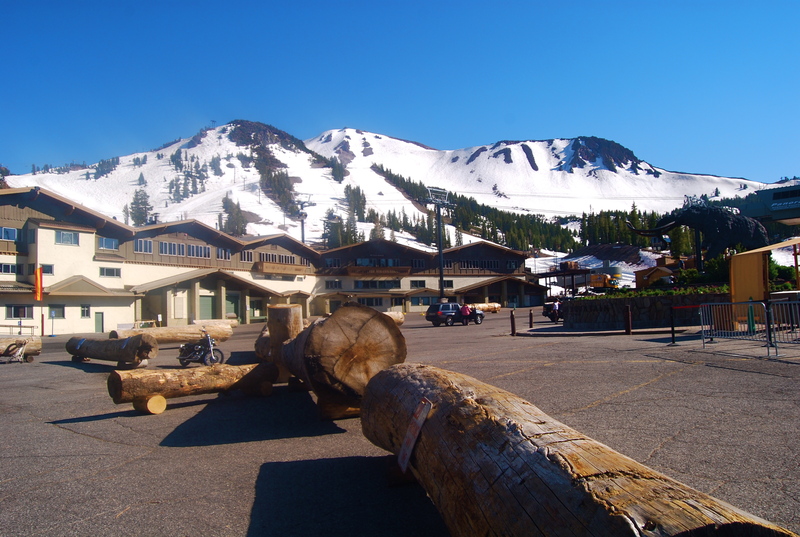 This is the main building in the Mammoth ski area. The parking lots were almost empty as the place was already closed except for some open restaurants. 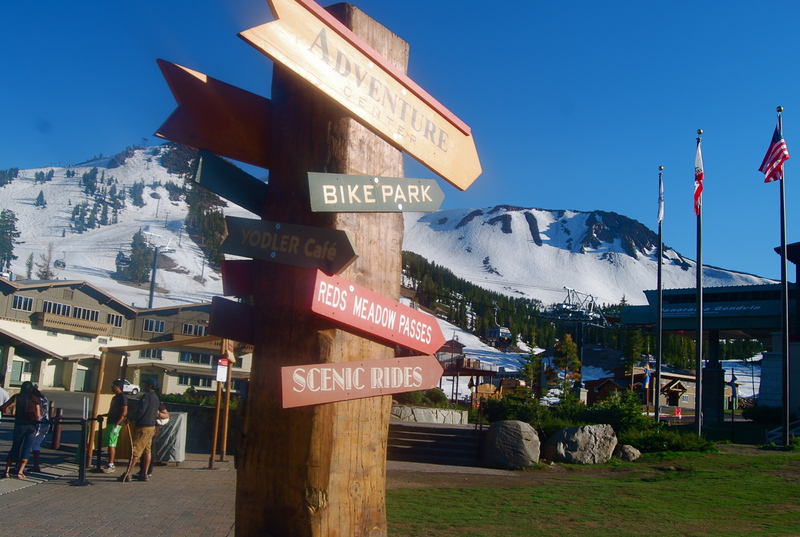 We just toured the area…..
….and so we thought this was the main ski area. 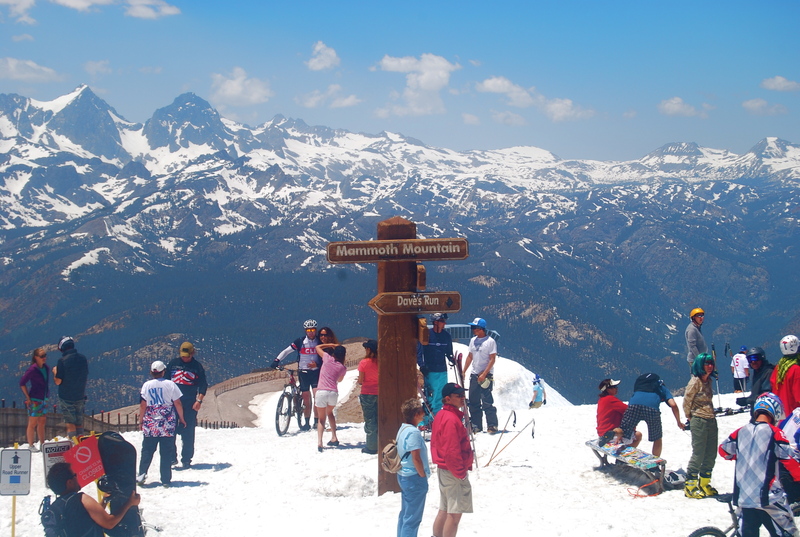 We were not aware that behind this mountain is the way to the towering summit of Mammoth Mountain and the great expanse of its ski area. 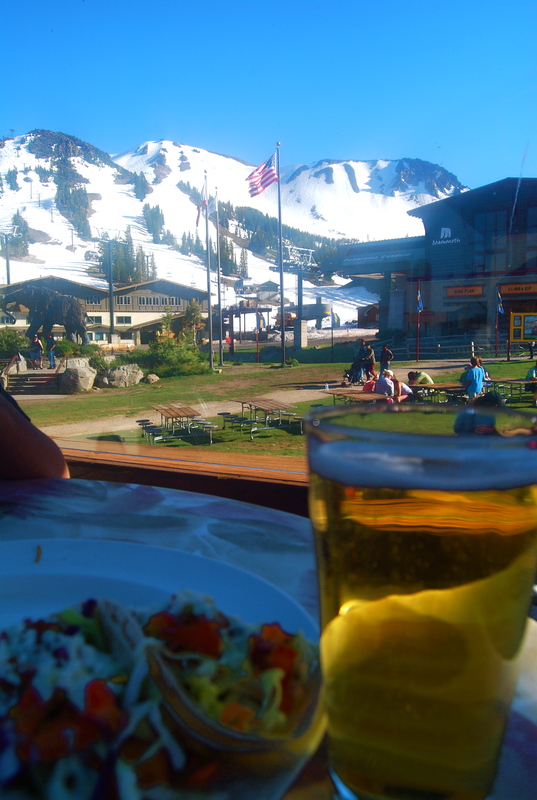 We capped the day with tacos and beer at the Mammoth grounds wishing America an advance happy birthday. 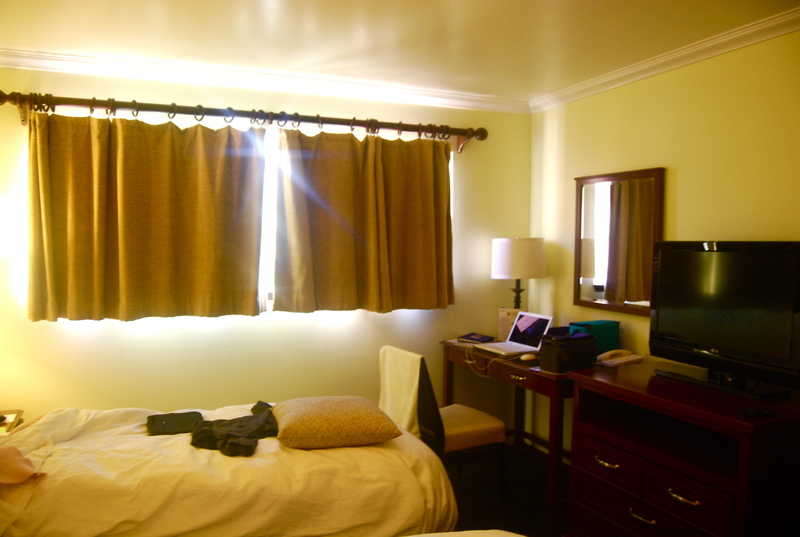 Going back to the hotel, I roamed around the 3-storey building. 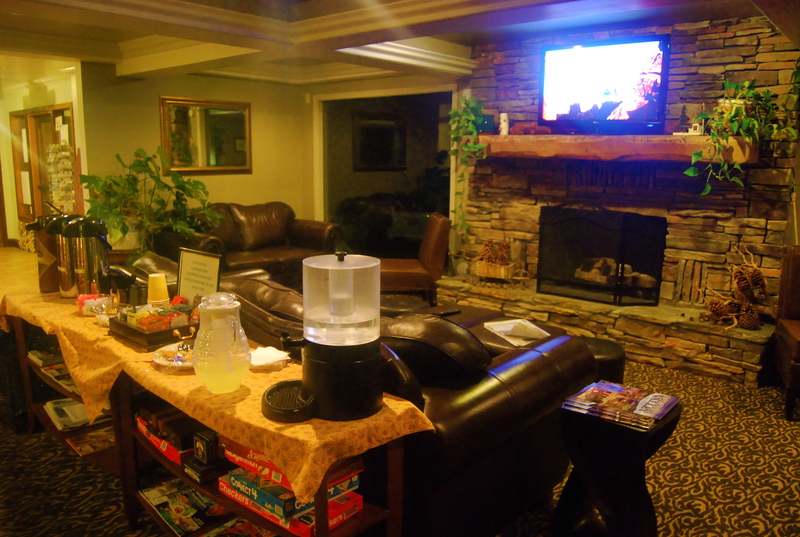 It has a cozy common relaxation area. 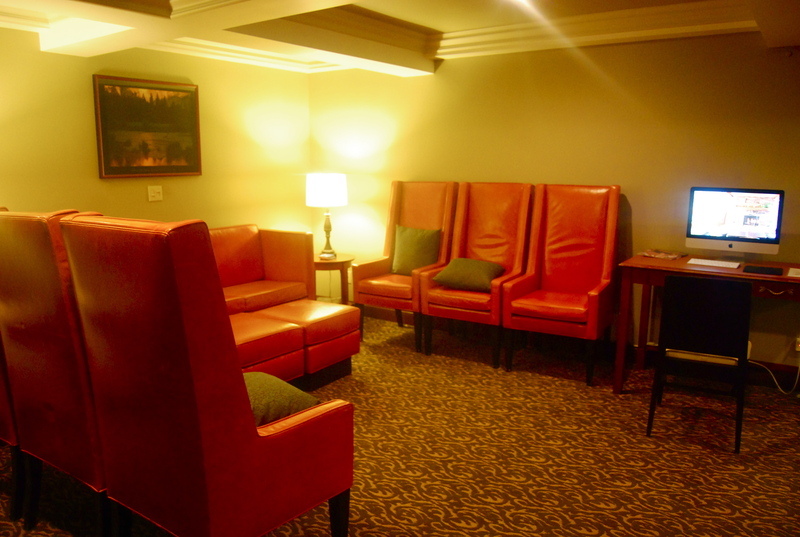 Still in the living room area is a single Mac available for free for those who have not brought laptops to access the free wi-fi connection. 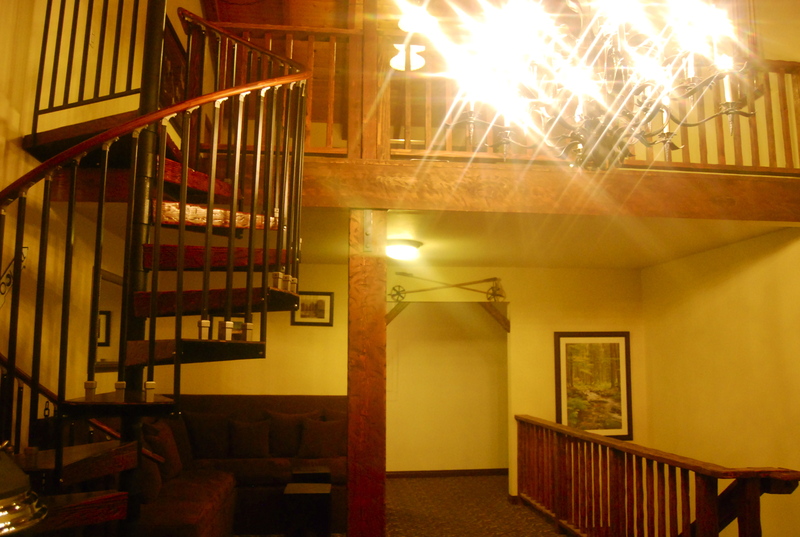 I went up to the second level which has a sofa set leading to the balcony that stretches the side of the entire second level. 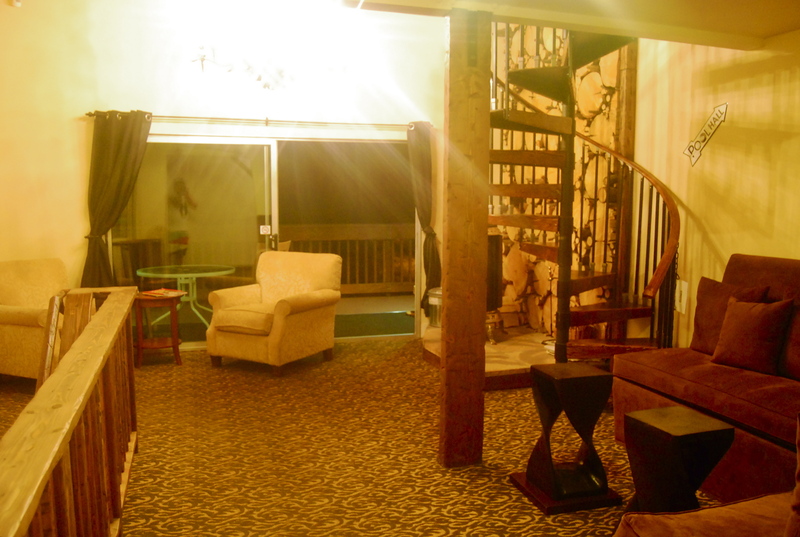 The stairs leading to the 3rd level. 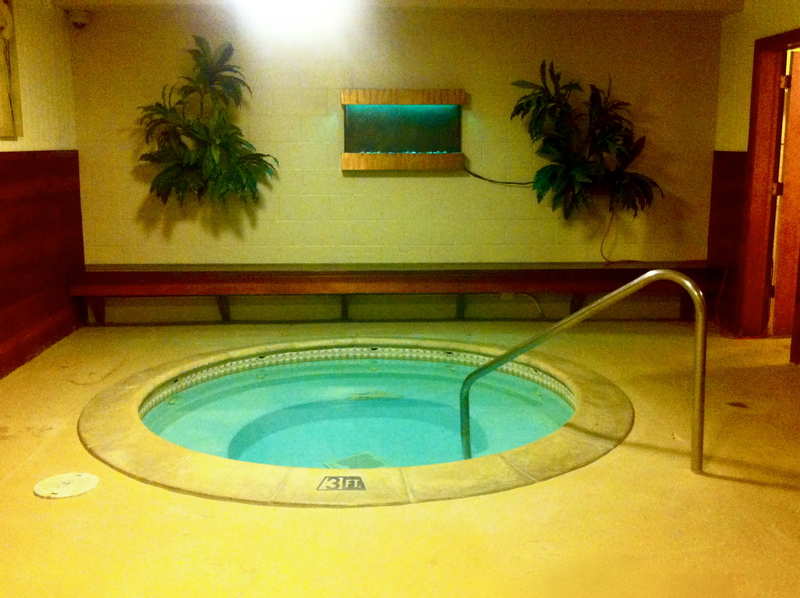 In the basement is a small jacuzzi. 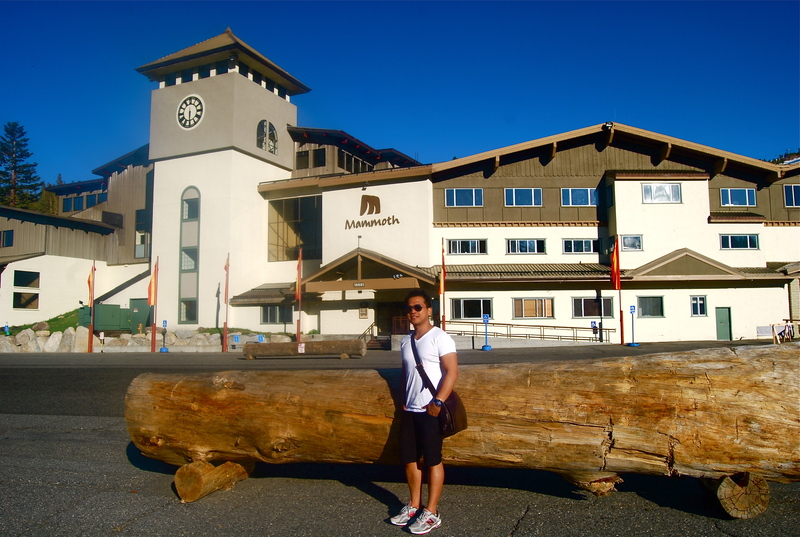 The next day, after breakfast, we rented ski accessories and immediately went into the ski grounds. 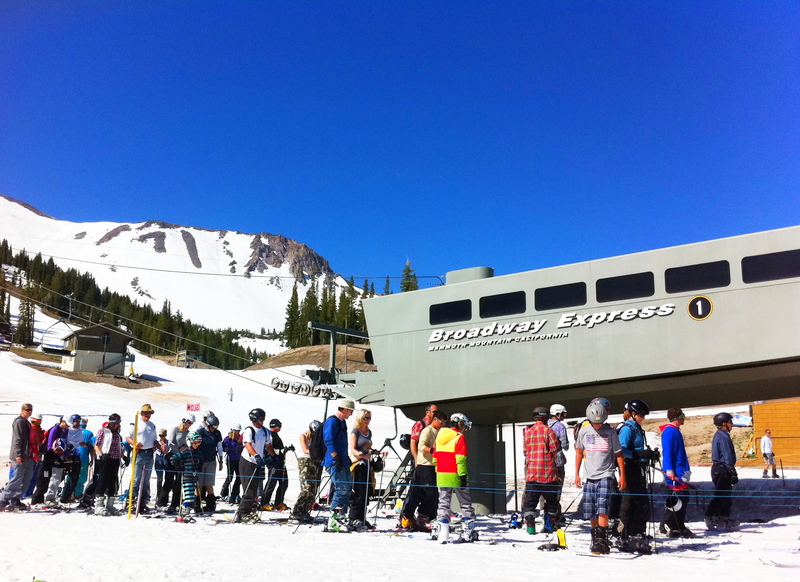 There were already a lot of skiers (I believe 99.99% were Americans) who queued up for a ride on the lift up to the mountain summit to ski down the slopes. 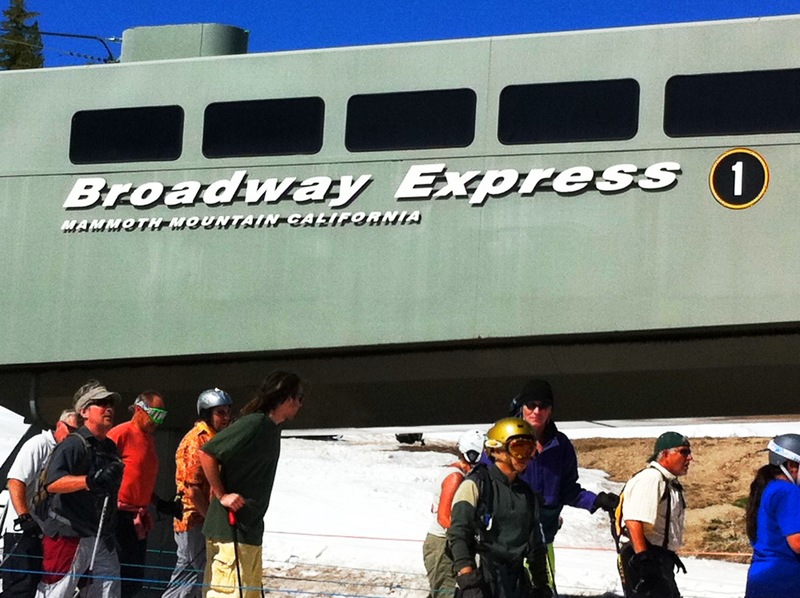 There was only one open lift station, Broadway Express 1. And yes, it was summer and the day to celebrate America’s freedom and everyone could wear anything! 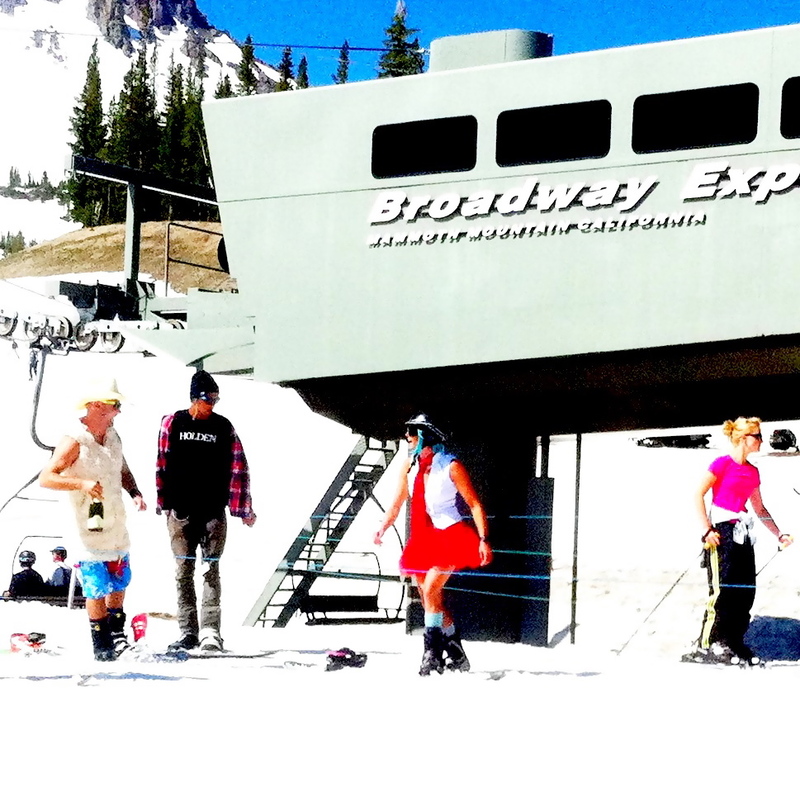 Some were wearing shorts and some had absolutely absurd skiing outfits and some almost had nothing on top. Some wore jeans like me and the ladies behind me in this pic. Well, it was just actually a fun ski. 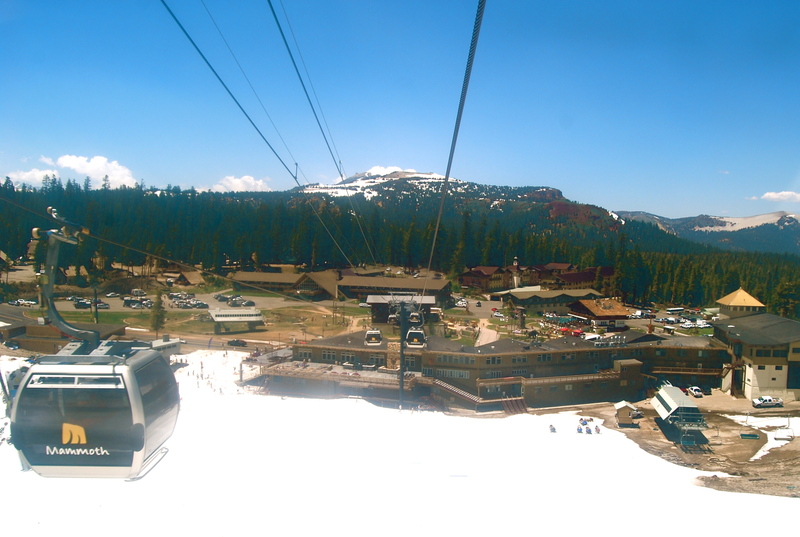 After one hour of skiing we were down on chairs just watching people ride the lift repeatedly. 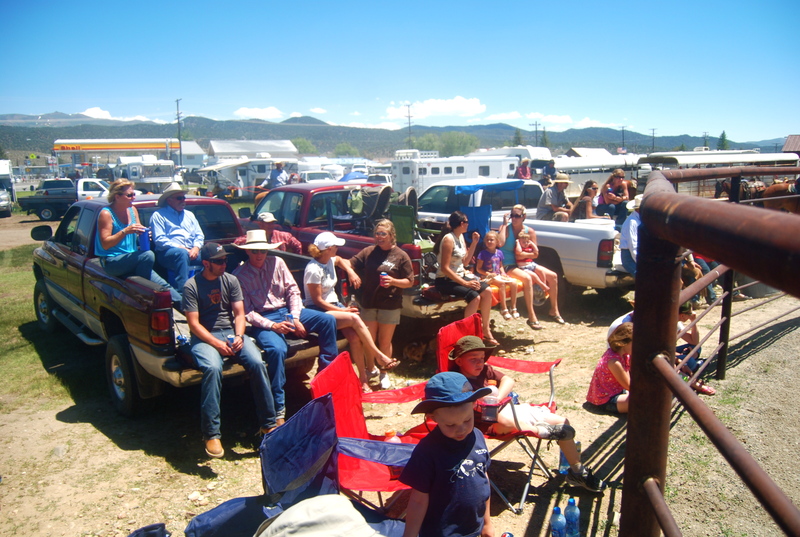 Watching the crowd get thin…. 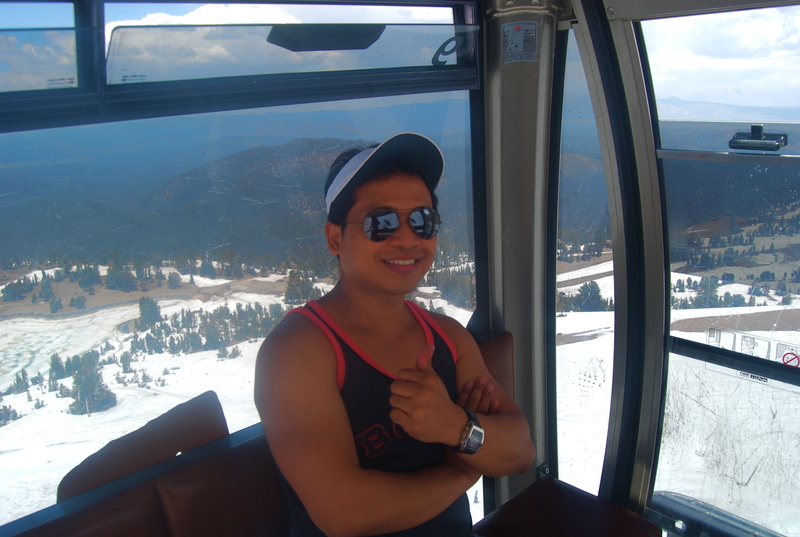 After we have rested, we took the cable car to the mountain summit. 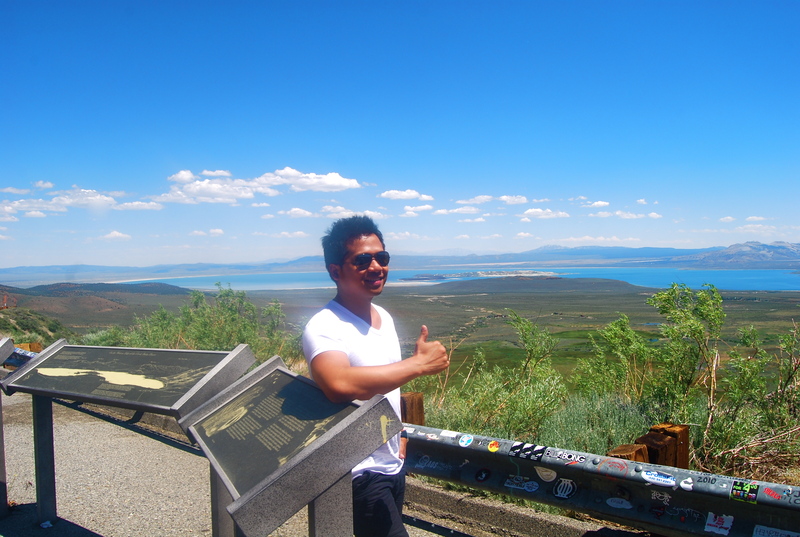 The view was indeed breathtaking as we were on our way to the top. 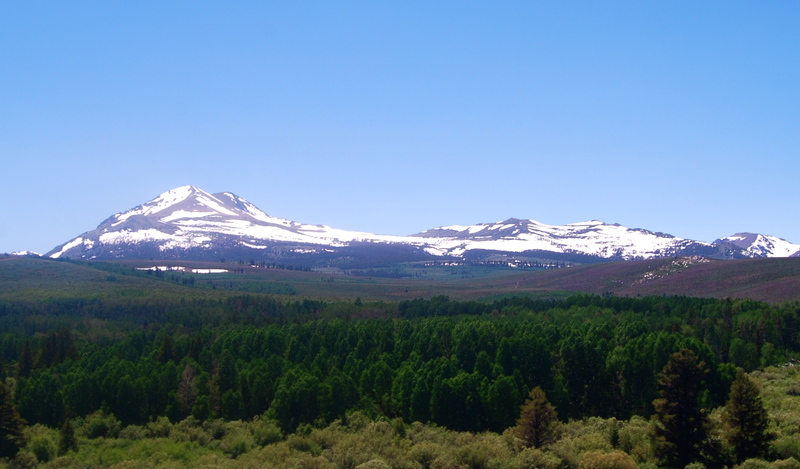 It was not a completely white scenery, understandably because it was summer but it was still beautiful. 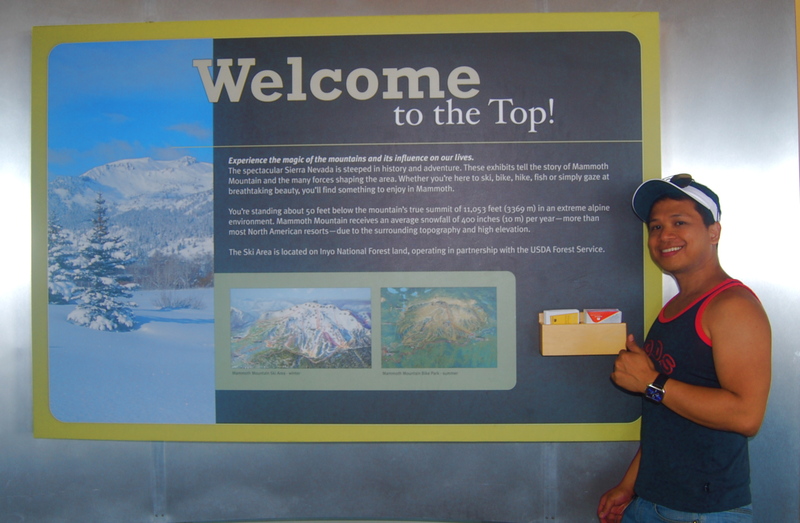 We reached the summit after 15 minutes. 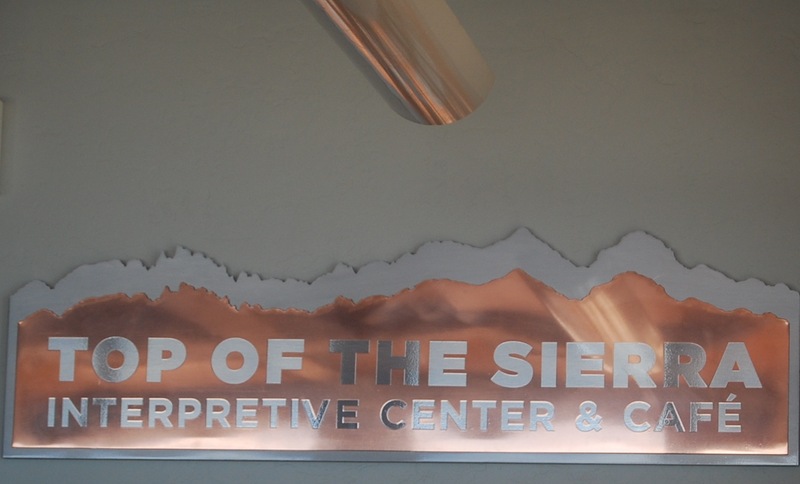 At the top of the sierra was a relaxation area and a cafe. It was pretty crowded at the top. 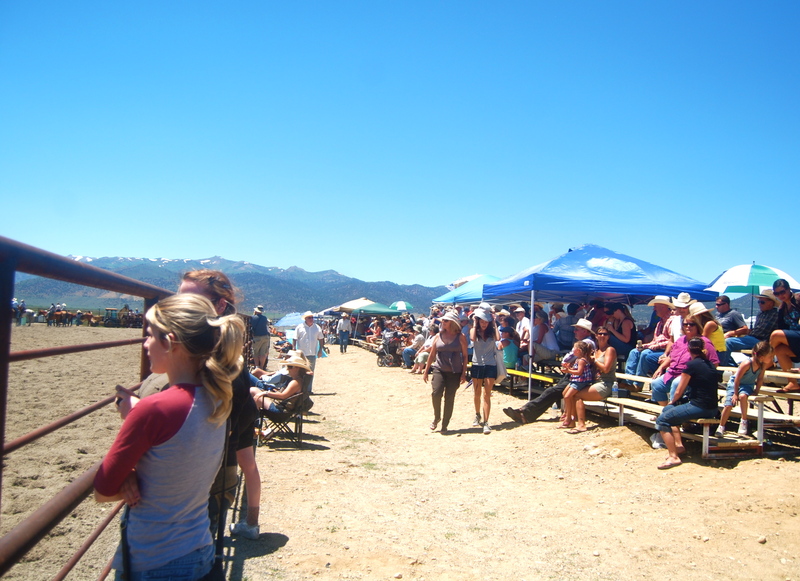 The crowd was a combination of skiers, bikers and just plain mesmerized onlookers. 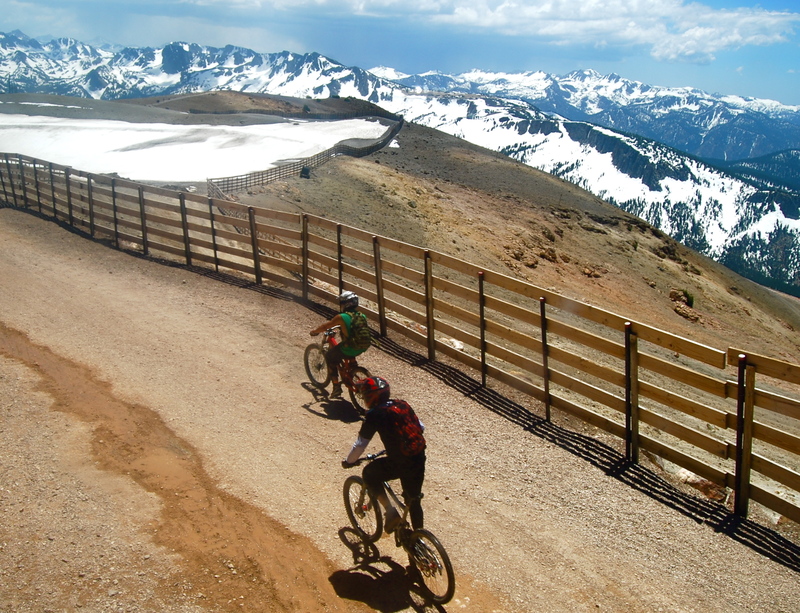 Yes, the biking area was already cleared of snow for the biking season to start. 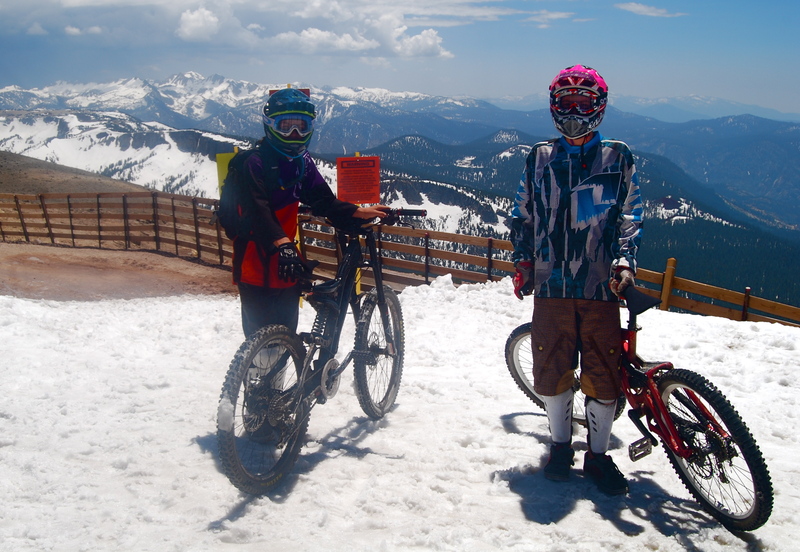 Even children took their bikes up to the summit. 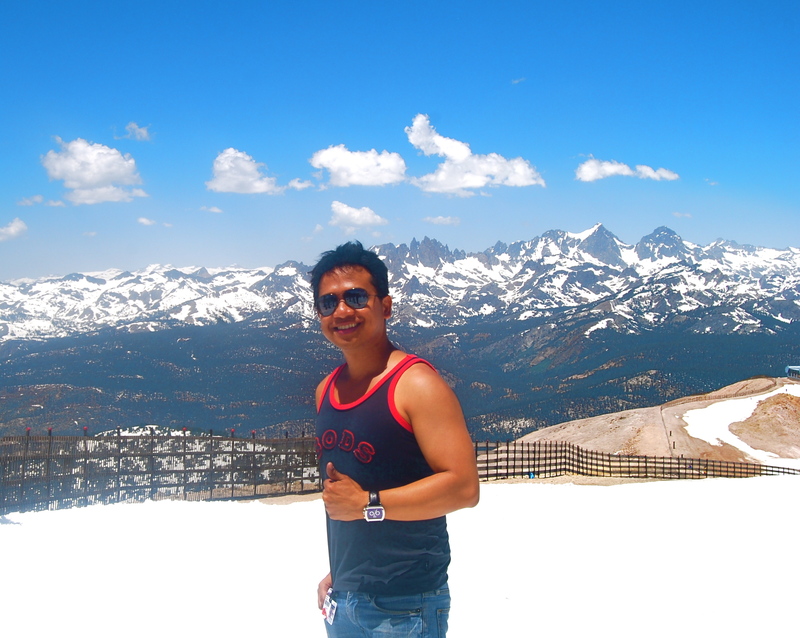 This is me at the top of Mammoth Mountain, 11,053 feet elevation. 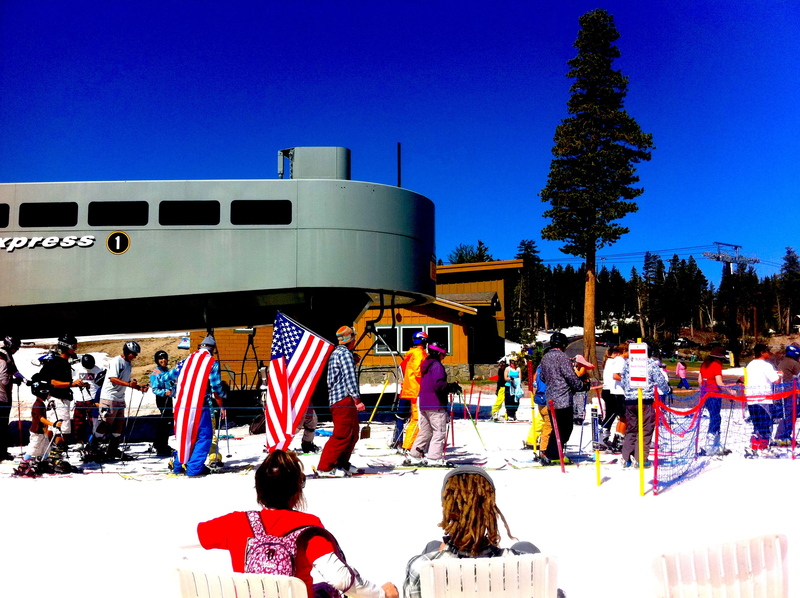 I just became one of the spectators as I’m still not an expert skier who could ski down from the mountain summit down thousand feet below. Picture-taking was our main business at the top. Yes, it was definitely a thumbs up for me. 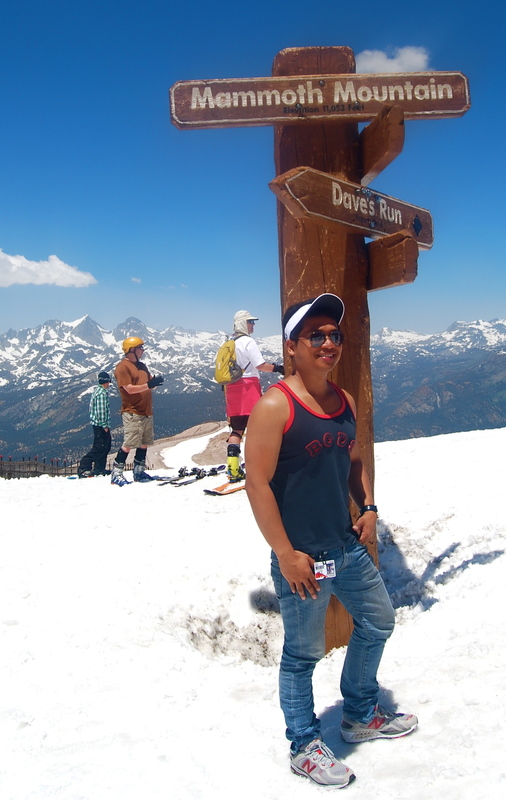 It was a sizzling summer alpine experience…..and it was time to descend after our quick lunch of pizza and soda in the cafe. 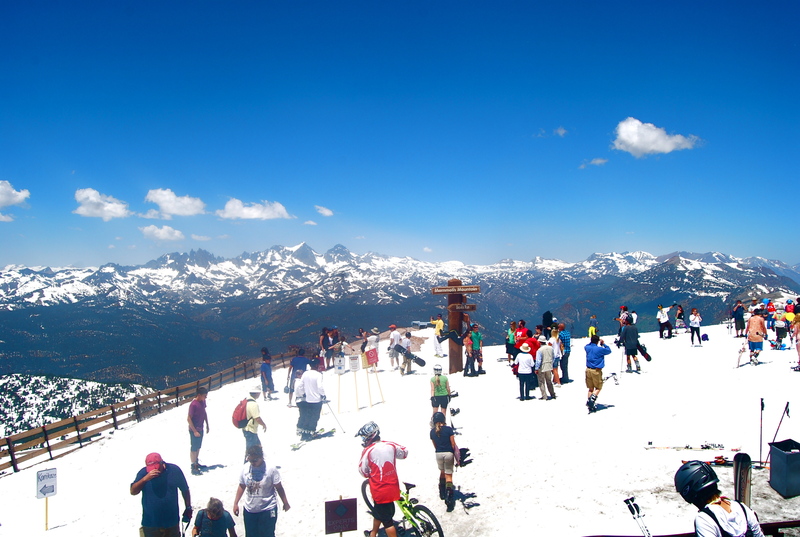 And that’s the mountain summit where we came from, where expert skiers would ski down thousand feet below. 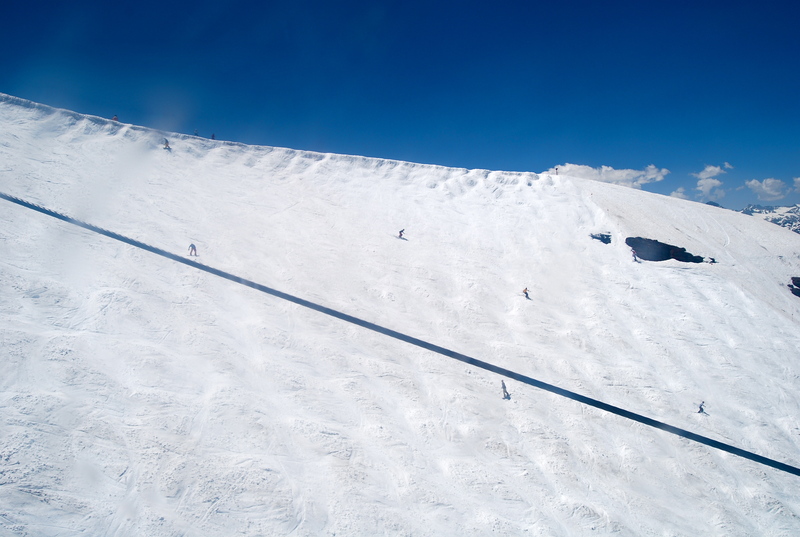 The slope has a steep inclination and I was just amazed by the bunch of experts gliding with fun and ease. 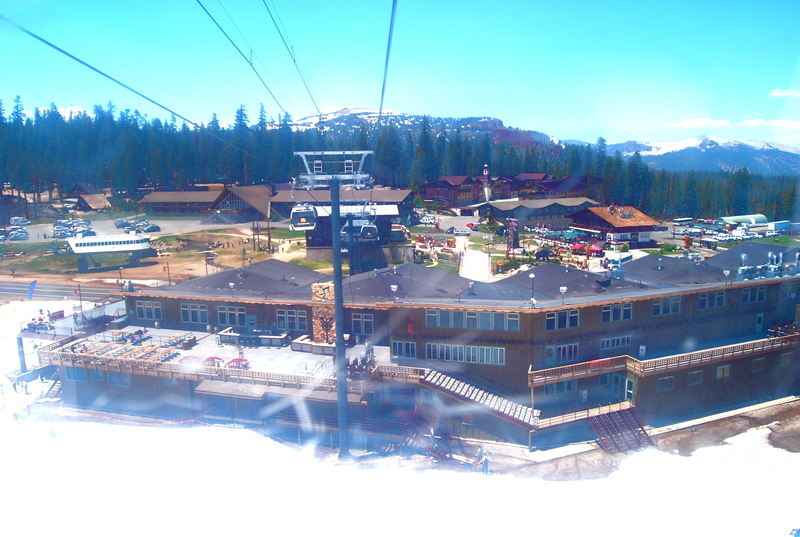 We went down to the ski area grounds still feeling high. 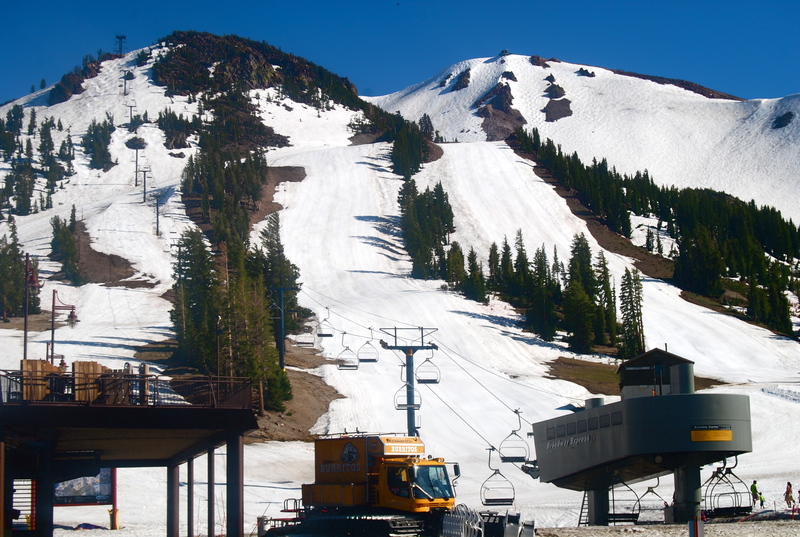 Obviously, since it was summer time and there was no fresh snow, the ski area was not in the best condition for even intermediate skiing. 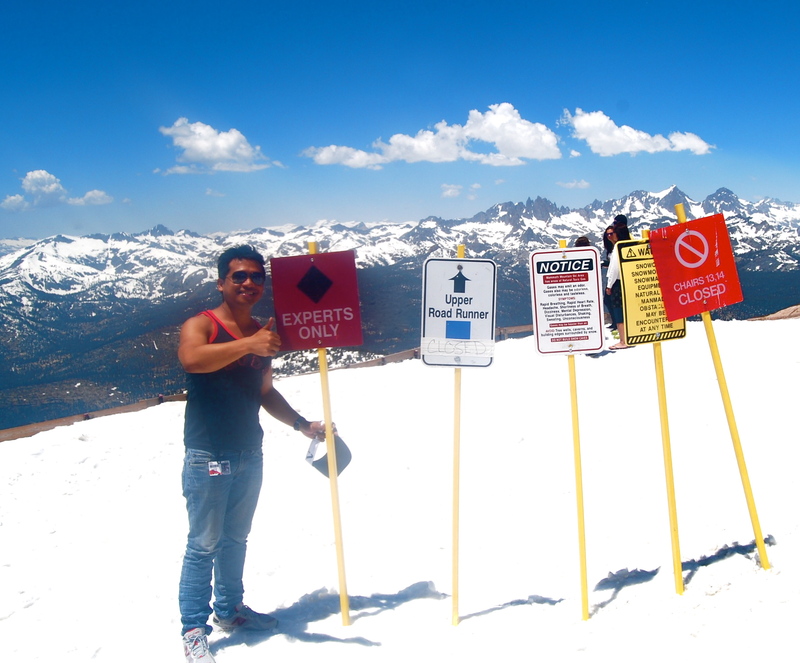 They had to maintain the snow/ice and it was already very slippery and hard. 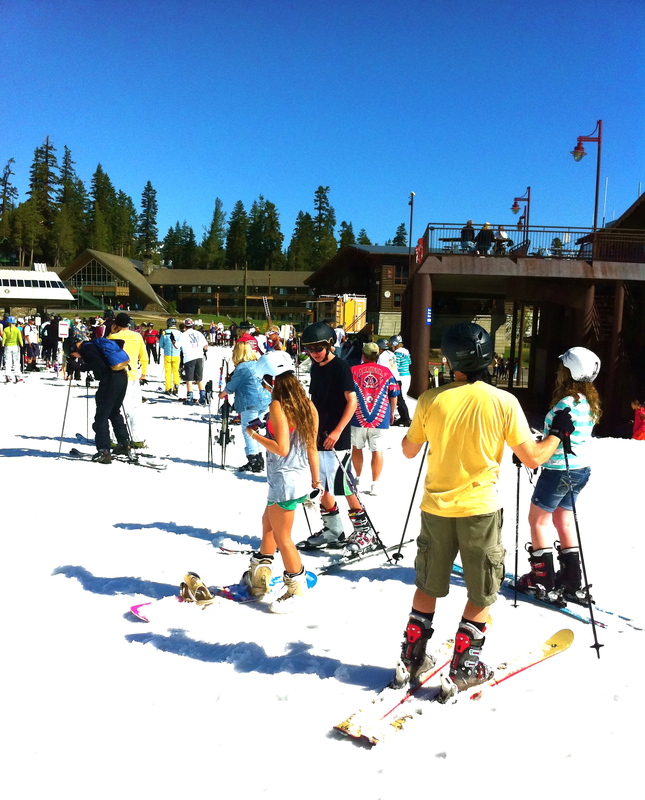 Anyway, there was a time in years past that the resort extended its opening days until mid-August after receiving more snow in that season. 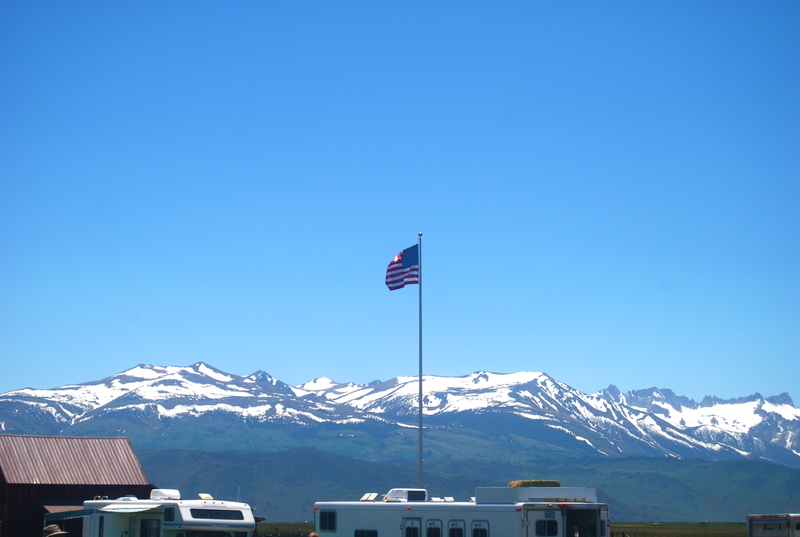 For this season, the resort was open until 4th of July to accommodate those who really want to experience the “4th of July Skiing” which was one of my 2011 dream activities. 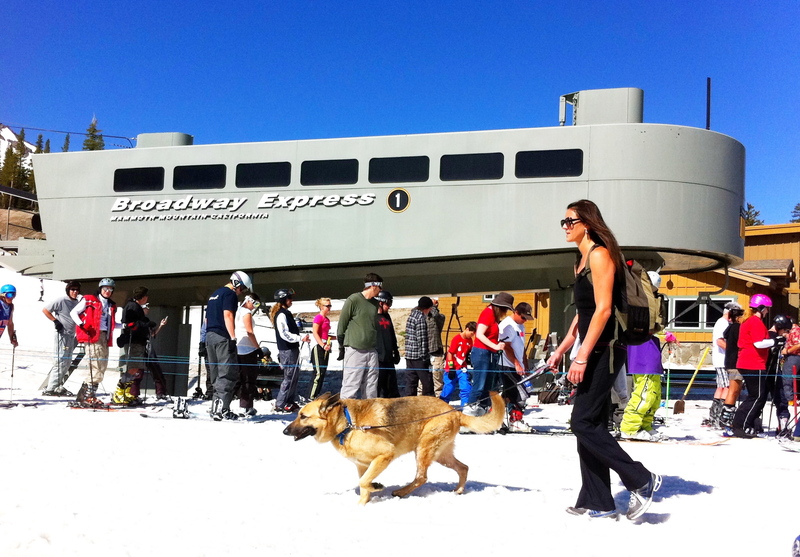 The ski resort closed the next day and opened again late November this year. We had to take the long drive from Mammoth back to Sacramento/Stockton area cutting through the mostly long winding and scenic roads inside Yosemite National Park. 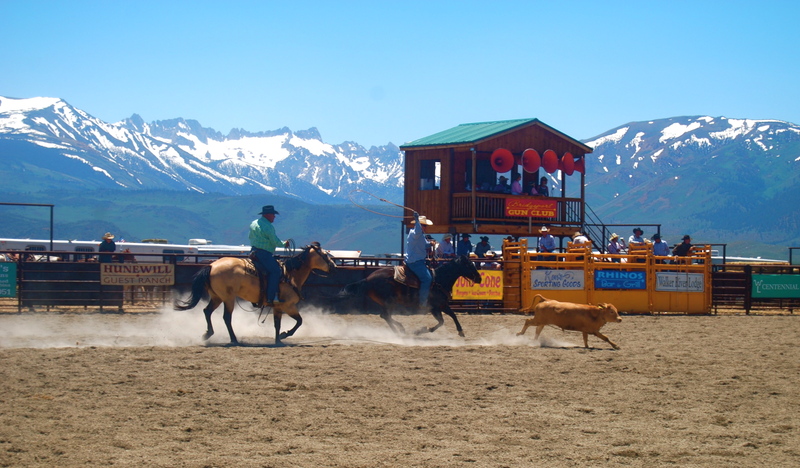 For everyone’s information, there are now flights from San Jose, Los Angeles and San Francisco going to Mammoth via Alaska Air/Horizon Air or Skywest Airlines. Yes, the flights are a bunch of saving alternatives for the punishing ~5-hour drive from San Francisco and San Jose and the ~6-hour drive from L.A.
Mammoth really means huge! 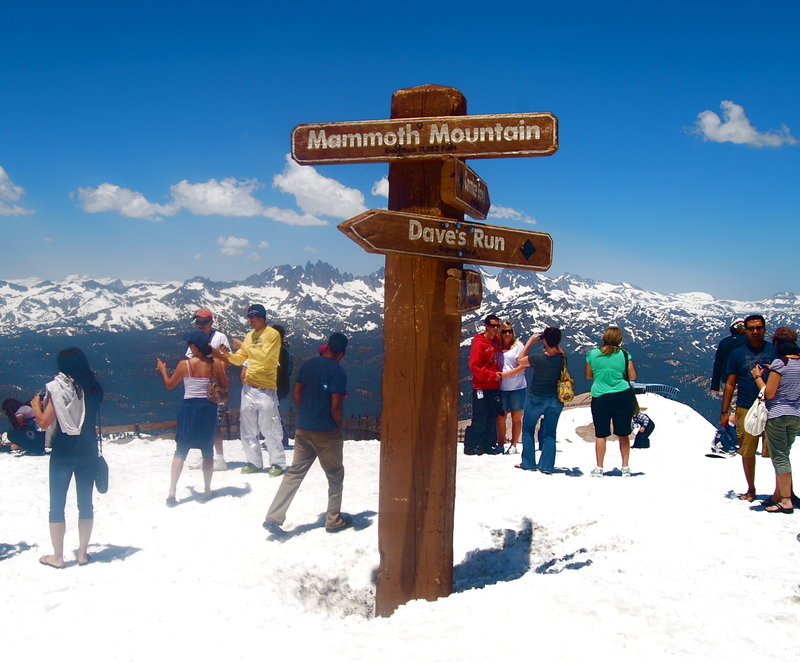 Whether it refers to the woolly elephants or the enormous ski area size, it aptly defines both!